“The Reason” Versus “The Reason Why:” Is There One Right Way? 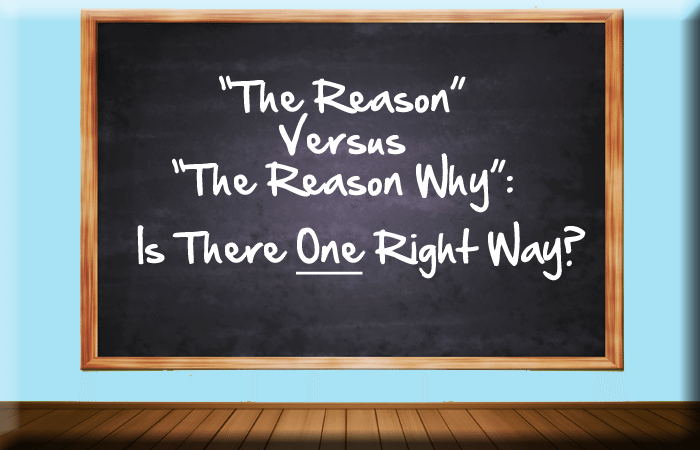 - Writer's Relief, Inc.
“The Reason” Versus “The Reason Why:” Is There One Right Way? Well, we hate to burst your bubble, but as per the Oxford English Dictionary and Merriam-Webster, both phrases are correct. According to the Grammarphobia blog, the OED states that the phrase “reason why” appears as far back as 1484 in William Caxton’s translation of Aesop’s Fables. The expression has been used regularly since (and maybe even before) then. “Reason why” breaks down like this: Merriam-Webster states that “reason” is a noun that means “cause” or “the thing that makes some fact intelligible.” “Why” functions as a conjunction and means “for which” or “on account of which.” If you think about it, “the cause on account of which an event occurs” makes logical sense and is not superfluous. As with many grammatical questions, the answer comes down to personal preference. If you’re a writer who values brevity above all else, “the reason the cat jumped” is for you. But if you’re a longtime fan of including “why,” don’t let anyone tell you the reasons why you’re wrong! QUESTION: Which do you prefer? Why? One Response to “The Reason” Versus “The Reason Why:” Is There One Right Way? I feel this way about the phrase “has got”.